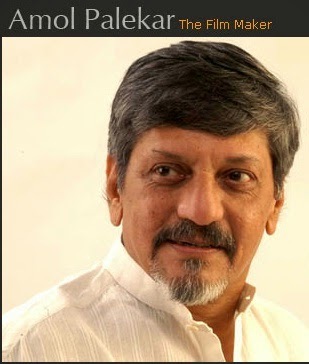 Amol Palekar was born in a lower middle class family to Kamlakar and Suhasini Palekar in Mumbai. His father worked at the General Post Office while his mother worked in a private company along with his three sisters. He admits that it was his parents who thought him to take pride in whatever work they did. This was his biggest motivation in life. He came from a lower middle class background. They did not even have a radio of their own. On the contrary they used to listen songs at their neighbour’s home. But their family upbringing thought each one of them the value and respect for money knowing the fact the way his parents worked hard to earn it. He gives the whole credit of this to his parents (Baba and Aai) who trained him to make his own bed, sweep the floor or be it assisting in the kitchen. When young he was very innocent by nature coupled with his simple lifestyle. He was always a good student and used to get good ranks and always within the top 10. To overcome his innocent nature and to get the pulse of the outside world and gain experience his parents decided to get him admitted to a boarding school in Gholwad village Dahanu Taluka post passing his class ninth. It was here that he got fascinated in the world of Arts and Marathi Literature. It was Amol Palekar's second or third day in the boarding school while in class tenth his school teacher had given the class an essay to write and the topic was "Pravas Varnan" (प्रवास वर्णन). The essay penned down by Amol Ji was highly appreciated and was read by his teacher in front of the whole class. Teacher asked Amol to meet him after the class gets over. While he met his teacher after the class his teacher asked him if he had read the following book "Rutuchakra" by the prolific writer Durga Bhagwat. Teacher asked him to read this book which was there in their school library. Teacher, also made it clear reading this book "Rutuchakra" has nothing to do with his school syllabus nor would he would be getting any extra marks for reading this book from the school library. This episode with his school teacher served to be the turning point in his life then. The first episode being his parents getting him admitted to boarding school. Might be his school teacher must have got the pulse of his artistic ability quite early in school itself post reading his essay. After he cleared his SSC exams, Amol Palekar decided to dabble in fine arts rather than becoming a commercial artist. His father (Baba) asked him if I was prepared to lead a life of struggle and his immediate answer was yes. His parents allowed him to take the decision of his life then which indeed gave him encouragement in the odyssey of life. Amol Palekar, passed out his Post Graduation in Fine Arts from Sir JJ School of Arts, Mumbai post which he commenced his artistic career as a painter which was distinguished by his seven one-man exhibitions along with his participation in many group shows. Amol Palekar started working with Bank of India. He worked during the day and pursued his passion towards painting at night. One thing he was very clear about was he didn't want his passion for painting to be dependent on his earnings. So, from 9 am to 6 pm, he worked full time in Banking profession and post 6 pm as a painter. 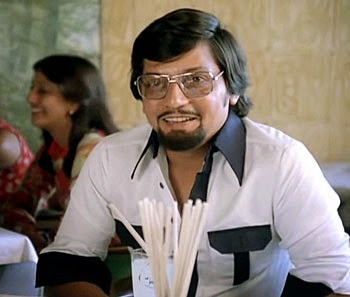 Amol Palekar, as an actor, ruled the silver screen for over a decade from 1970. His charming image as a ‘boy next door’ carved an unparallel niche in contrast to the larger than life heroes prevalent at that time in Indian cinema. He received three Film Fare and six State awards as Best Actor. Amol Palekar made his acting debut in 1971 with the noted Marathi film Shantata! Court Chalu Aahe directed by Satyadev Dubey. In 1974, he was cast by Basu Chatterjee in Rajnigandha, and later Chhoti Si Baat. This led to many other such roles in mostly alternative cinema. He is noted for his image of the "middle-class every man" in movies like Gharonda, Baaton Baaton Mein and Gol-Maal. While choosing to concentrate on filmmaking, he decided not to act after 1986. Amol Palekar has not only entertained each one of us with his signature style as middle class man next door but has also captivated the ears of many music lovers even today with his toe tapping numbers. He firmly believes one's life is about exploration. He doesn't believe in God, Spirituality means nothing much to him. Amol Palekar came in at a time when Superstar Rajesh Khanna and angry young man Amitabh Bachchan were at their peak. Be it his short innings of a shy or as a middle class hero but for the common masses Amol Palekar gave a good family entertainment whom we still remember as the young Tony Braganza.